You’re about to discover how to overcome anxiety. In this book we are going to look at the different categories and causes of anxiety in order to help you overcome them. Each person’s situation is different, the symptoms do not always overlap, and perhaps for you they are all concentrated in one aspect. We will be explaining everything in order to help you closely understand the causes of your anxiety. Whether that’s being surrounded by crowds, talking to an audience, or being in social environments. What are the best anxiety management techniques? How does exercise relax you? How to cope with panic attacks? What medication to be taken? 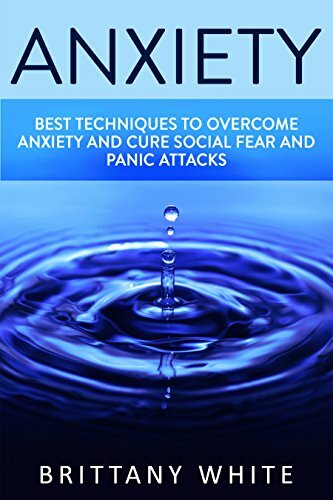 This is the Kindle version of Anxiety: How to Overcome Anxiety, build self esteem and Cure Social Fear and Panic Attacks (Anxiety, Stress, Fear, Social Anxiety, Overcome Shyness) that you can also download and read on your computer and mobile phone. Kindle books are DRM protected and therefore, unlike ebooks that are in PDF or ePUB format, you cannot read this ebook without the official Kindle apps.